We studied the effects of blockers of the T-type Ca2+ channels on resumption of meiosis and spontaneous meiotic maturation of murine ovarial oocytes in vitro. We found that the efficiency of suppression of oocyte maturation by blockers of the Ca2+ channels increases in the following succession: amiloride hydrochloride, mebifradil, NiCl2. It is supposed that there is a possibility to use blockers of the T-type Ca2+ channels for creation of new combined intrauterine contraceptives. Вознесенська Т. Ю., Алексєєва І. М. Участь кальцієвих каналів Т-типу у формуванні першого полярного тільця ооцитами мишей // Нейрофизиология/Neurophysiology.—2000. — 32, № 3, -С. 190-191. Gotsulyak Ya. M., Lіbert S. V., Berdyeva T. K.,Gajova L. F. From mechanism of immune infertility to new contraceptive means. В кн. : Матеріали III Нац. Конгресу патофізіологів України з міжнародною участю, (29-31 травня 2000 р. Одеса) // Фізіол. - журн. - 2000.- 46, № 2 .- С. 74-75. Homa S.T. Calcium and meiotic maturation of the mammalian oocyte // Mol. Reprod. Dev.- 1995.-40, № 1.-P. 122-134. Homa S.T., Carroll J., Swann K. The role of calcium in mammalian oocyte maturation and egg activation// Hum. 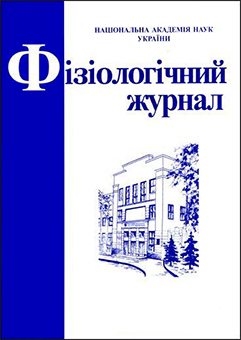 Reprod.- 1993.- 8, № 8.- P. 1274-1281. Kostyuk P.G. Low-voltage activated calcium channels: achievements and problems // Neuroscience.-1999.- 92, № 4.- P. 1157-1163. Peres A. Resting membrane potential and inward current properties of mouse ovarian oocytes and eggs // Pflug. Arch.- 1986.- 407, № 5.-P. 534-540. Peres A. The calcium current of mouse egg measured in physiological calcium and temperature conditions // J. Physiol.- 1987.- 391.- P. 573-588. 9. Peres A., Mostacciuolo G. Single- and multi-channel currents recorded with patch electrodes in mouse eggs // Cell Biol. Int. Rep.- 1987.- 11, № 6.-487-493. 10. Sirard M.A., Richard F., Mayes M. Controlling meiotic resumption in bovine oocytes: a review // Theriogenology.- 1998.- 49, № 2.-P. 483-497. Smith-Sonneborn J., Leibovitz B., Donathan R.,Fisher G.L. Bioassay of environmental nickel dusts in a particle feeding ciliate // Environ Mutagen.-1986.- 8, № 4. P. 621-626. Stricker S.A. Comparative Biology of Calcium Signaling during Fertilization and Egg Activation in Animals // Dev. 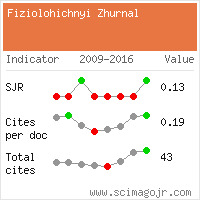 Biol.- 1999.- 211, № 2.-P. 157-176.